Which Cloud Solutions will increase your productivity and increase profits? What does Cloud Solutions actually mean? Is this a direction I should be reviewing for my business and why? Where can I obtain clarity on the advantages/disadvantages? Can I obtain cost transparency? What are the common risks associated to a bespoke Cloud Solution and how can I best avoid them? Which Cloud Solutions will increase your productivity and increase profits? All excellent questions and you may have allot more in addition – we have the answers and the clarity. Simply put, the Cloud is everywhere and migrating from physical to virtual environments is undoubtedly the future, so are you ready for it? To answer some of the questions may very well lead to further confusing questions, it’s a usual pitfall however, Umbee massively simplifies what is a complex and technical area of computing on a case by case basis for existing customers wishing to expand their existing IT infrastructure or for new customers, we start with a clean sheet, we listen and understand as much as possible about your business and we bust through the immense amount of confusing jargon. Clarity is the key. Our approach is ‘niche’ in the industry, being highly customer focused and engaging to not only provide an initial solution but in addition, to provide on-going services which have been predetermined from the start via our flexible close collaboration and engagement process. 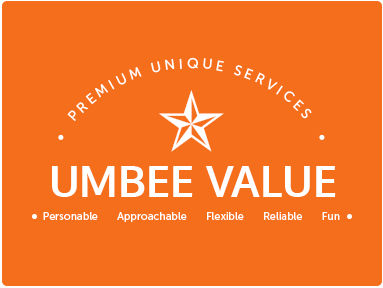 Umbee is ‘passionate’ about what we do. Our staff are all massively motivated, fully certified and represent the best of the best. We are ISO 27001 accredited and we own and operate our high-end hardware and have rack footprints in three UK data-centres and an additional two in the USA. Our goal is to exceed customer expectations without exception, we never comprise on quality and we keep our solutions aggressively affordable. Contact us today for a free, non-committal consultation and infrastructure health check.